Raymond Ltd. is a leading Indian branded fabric and fashion retailer, exporting to over 50 countries worldwide. 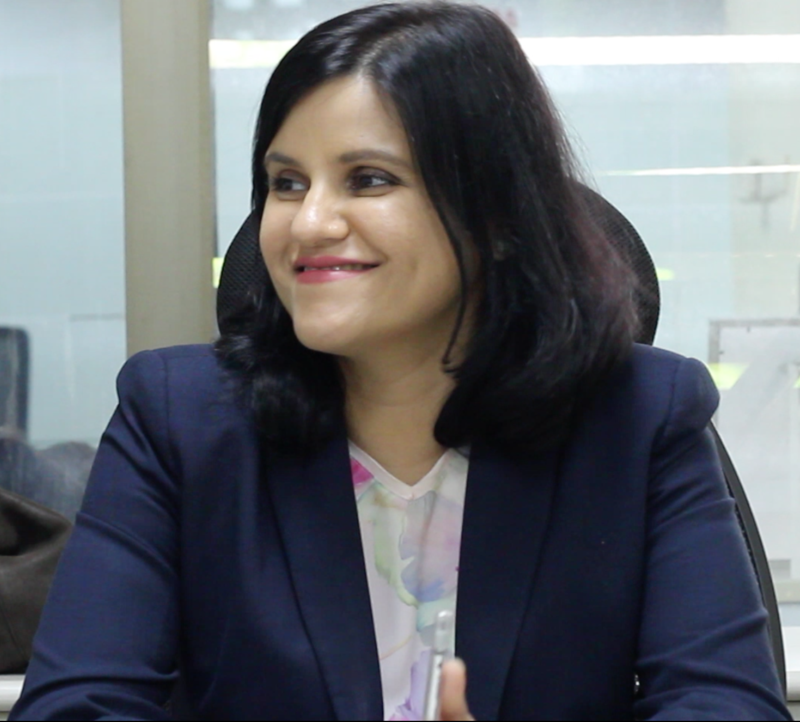 Uma Talreja, Chief Digital Officer at Raymond, talks about how Zapr’s unique TV to Mobile targeting actually changed how users engaged with Raymond: from a purely fabric brand to a ready-to-wear collection which can be purchased on impulse. “We have been experimenting with Zapr for several campaigns in the last few months and it has helped us reduce wastage, create better sequencing and enhance our targeting, all with one platform. It has been a valuable exercise." “I think there’s no shying away from the fact that everybody’s on mobile phones, and it’s good that something like Zapr has come our way to address how we can integrate with the mobile technology and serve our content and meet marketing objectives better. I’m going to cite some examples here, which are very interesting and have helped us to solve some larger challenges. Everybody knows that Raymond is a fabric brand and we deal with that barrier as a legacy in our campaigns. People are not able to necessarily recollect or understand that Raymond now serves ready-made and fashion. In the recent past of course we’ve been focusing much more on our ready-to-wear strategy, and trying to actually include ourselves in various fashion and lifestyle moments that a consumer has today. We had recently launched a collection of Raymond White Shirts where we had a television campaign which was released on several TV channels across the country. The question that we were posed with is that how will be people differentiate from the fabric advertising that we normally do and know that this a ready-to-wear collection. So we created a lot of content which was about various people from different walks of life actually “unboxing” a white shirt and explaining what they thought about the white shirts and how they felt when they wore it. We served this campaign through Zapr, to audiences who had seen our main television campaign which had actually established very good credentials around the brand and authority on Whites, and used this to actually build a story around the product. We also used this very interestingly to increase our reach among audiences who did not see the campaign on Television. We showed them the main television advertisement first and then continued the story. We also found Zapr very useful in terms of narrow targeting the kind of audiences we wanted to reach, which we find is supplementary to our television efforts in general and other campaign planning methods that we have. We used this to successfully attract audiences who are actually favouring maybe other apparel or competition or lifestyle behaviour that we see from luxury to premium purchases, or people who are generally interested in more frequent lifestyle needs like travel or dining, among other such needs. 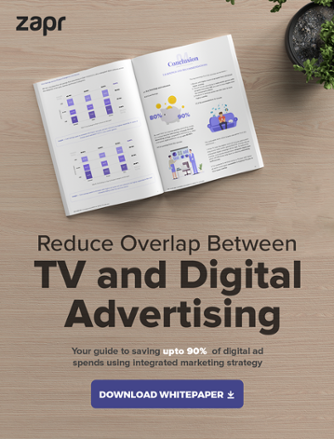 This is useful for us because we want to be a higher frequency brand in the market, and we used Zapr to actually create that behaviour with our audiences. The interesting thing is that we were also able to attract new segments to this campaign through television itself, by mapping audiences who had not seen the television ad and trying to add incremental reach to the television campaign by serving the main communication back to them and then continuing the story of unboxing of the white shirts. This really helped us establish the fact that Raymond does make great white shirts as an authority on ready-to-wear fashion apart from fabric, while leveraging the credentials of the fabric quality that we have. We also measured this through brand-lift surveys, and we found that there was a significant lift in the awareness and consideration for Raymond as a ready-to-wear brand which we were able to measure on the device itself."